Virginia legislation, as well as federal law, allows residents several online Virginia gambling options. However, the state remains rather strict in regards to gambling laws. It does not permit poker, casino, or other traditional gambling methods, but it still offers the ability to make cash wagers online through three legal types of gambling. Virginia does not have a single casino, tribal or commercial, within the state. However, its neighboring states continue to attract many Virginians willing to make the commute to gamble at a physical location. Some Virginians choose to participate in online betting and gambling through the use of an offshore operation even though it is markedly illegal to do so in Virginia. It is highly recommended that you avoid doing so nevertheless. If you are thinking of starting an illegal gambling operation in Virginia, think again. Although the state only enforces minor penalties on illegal gambling participants, operators, on the other hand, are subject to a penalty of up to $20,000 and a prison sentence of up to 10 years. Virginia has not yet condoned land-based gambling within the state, and as far as online options for poker and other casino-style games, Virginia must overcome several hurdles within its legislation before there is the possibility of legalization. On a positive note, Virginians can still experience both exciting and interactive wagering options that are legal. Virginia currently does not have a single racetrack in the state and ceased to approve and license future horse or greyhound racing establishments. Colonial Downs remains a mere historical racetrack that stands as the first and last land-based horse and greyhound betting location in Virginia. The Old Dominion State did, however, approve pari-mutuel betting in 1988 and still allows for residents of Virginia to participate and place real cash wagers on licensed and legal online sites. 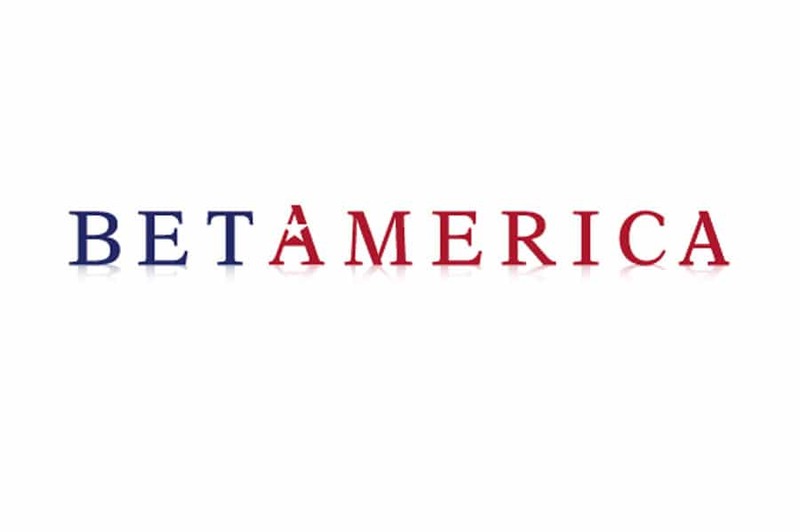 BetAmerica is one of the largest legal online betting establishments in the United States. It covers thousands of races each year for both horse and greyhound wagering. Round the clock, race betting action is accessible anywhere from your computer, laptop, tablet, or phone. Bettors of all levels receive a matching deposit bonus of up to $300. TVG serves as the lead television network for horse and greyhound racing. The TV channel offers racing at all times to over 33 million American homes, as well as acting as a center hub for safe and exciting wagers. The company also donates more money from revenues to the industry than any other horse and greyhound racing establishment. Sign up for a $100 bonus and refer a friend for an additional $50. 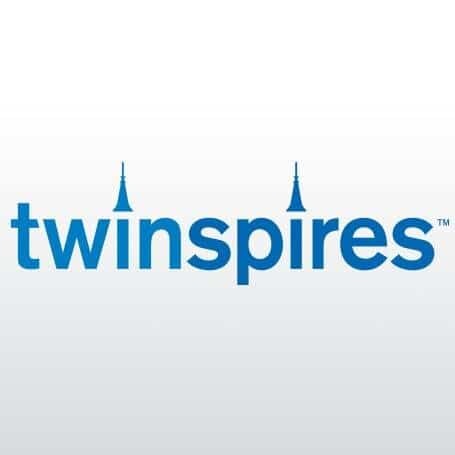 TwinSpires stands as another major leader in the horse and greyhound racing industry. It offers an easy to navigate platform listing quick links for those eager to start betting as well as a series of betting tools, tips, and handicap advice on all of the major horse and greyhound events. TwinSpires offer a $100 sign up bonus to all customers. Its mobile application stays up to date with important news and advice to make your experience exciting and interactive. Although traditional sports betting is illegal in Virginia, the states offer a similar alternative for its residents. Unlike sportsbooks, fantasy sports betting establishments are located in the United States and operate fully within the confines of the law. You can round up some buddies to put together a league of your own, or try your skill in the many online options, all licensed, regulated, and managed by the Fantasy Sports Trade Association. DraftKings offers a new interactive strategy of daily or weekly competitions. The wildly popular system prevents you from being stuck with a drafted team for the entire season. Though different from traditional fantasy leagues, the shortened league times render fast paced and exhilarating experiences that won’t have you searching through stats for hours on end. With several ongoing promotions and the ability to match your first deposit, DraftKings lead the way for fun and safe fantasy sports betting. Check out the DraftKings Review to learn more! DraftDay offers a new approach to fantasy sports from a few different aspects. Firstly, players draft their fantasy team with a relatively lower starting virtual salary cap. The lower cap allows for smaller units to be built quickly and efficiently while still getting tons of action. Additionally, DraftDay offers more jackpots and tournament winnings than any other site. All prizes and cash winnings are guaranteed, so players do not have to worry about payment processing. DraftDay also allows potential players to experience the action free for the first time. Virginia holds faithful to prohibiting casino style games both online and offline for its state. Though it recognizes the need to sustain its tourism industry, the Old Dominion State will not be opening any land-based or online-based casinos anytime soon. However, residents can try their hand at playing their favorite games for real cash through skill-based game websites. WorldWinner remains the largest skill-based platform in the United States. Licensed and regulated through the Game Show Network (GSN), World Winner offers several various genres of skill games that pay out jackpots and guaranteed cash prizes. Foreign websites that claim to be regulated and licensed for United States residents are deceiving and unsafe. Residents should be extremely wary of these sites. Although they do provide gambling services to American citizens, offshore gambling websites are not within United States jurisdiction. Such sites are not guaranteed to pay out winnings and can be unreliable. Residents of Virginia should know that the Old Dominion State is one of the only states that clarify illegal Internet gambling. An amendment made in 2011 states that “interstate gambling” addresses illicit gambling sites outside of the Commonwealth of Virginia as a Class 3 misdemeanor offense punishable with a $500 fine. Remember that laws such as State Statutes 18.2–35 are in place to protect the good of the people. Illegal foreign sites are established in countries with little gambling regulation for a reason. They operate without legal enforcement or proper control. Online poker is clearly illegal within the state of Virginia. However, the state does not have an effective way to enforce the law against players choosing to risk using an offshore site. Virginia still holds misdemeanor punishment for those who are willing to take the chance. The state also holds faithful to the idea that playing on overseas sites are dangerous and unreliable to customers due to lack of gambling regulation. As for land-based poker play, the state has had two substantial cases involving the illegal running of poker halls. Both cases include the defense that poker is a game of skill. 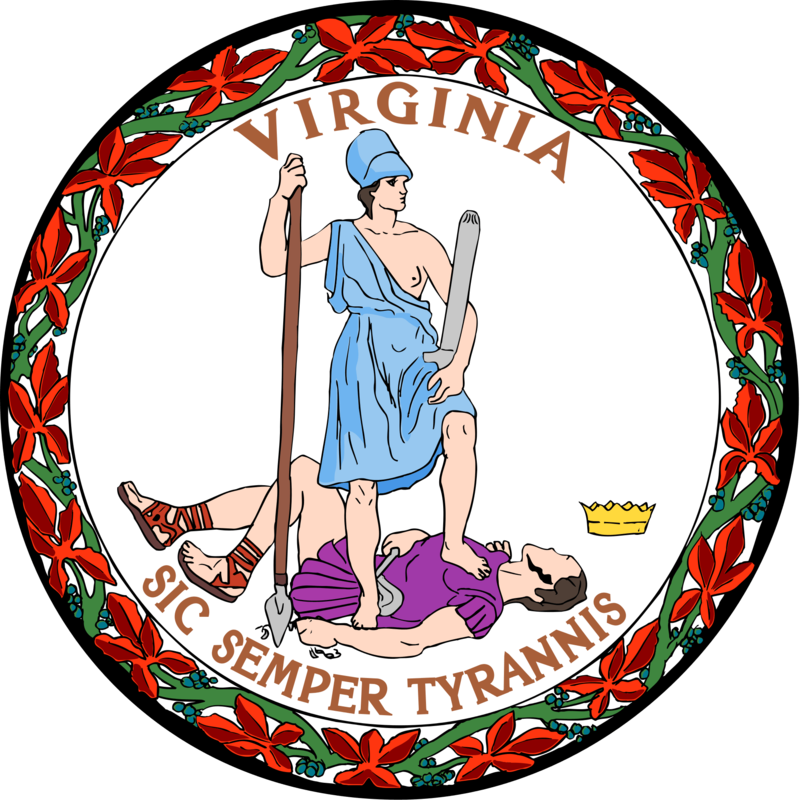 Due to Virginia’s statute § 18.2-333 recognizing games of skill as legal competitions within the state, many Virginian poker players are eager for a potential silver lining to legalize both land-based and online poker. Unfortunately, each case was able to reach the Virginia Supreme Court only to be shot down and thrown out both times with the verdict that the defense could not challenge the law. The Supreme Court did, however, allows for the opportunity for future challenges, and did not deliberate a decision on the potential future legalization of poker, both land-based and online, within the Old Dominion State. Virginia has a similar stance on online sports betting as it does to online poker. Although it is difficult for a gambler to face persecution, it is still illegal to place wagers on sports games in the Commonwealth of Virginia because of federal PAPSA and UIGEA laws. With Nevada being the only place in the United States to have legal sports betting, many Virginias either flock to Sin City or risk uncertainty with online offshore sportsbooks. However, it is best to avoid online sportsbooks or potential underground sports bookies in Virginia, as you have no guarantee of payment or fair play. Instead, try your hand at fantasy football for a fully-regulate, and exciting gameplay. Above all, keep in mind that the safest and legal way to gamble is through regulated US operations. Although offshore betting sites are available to United States residents, their legitimacy is questionable, and they are not enforced with proper regulations. Try your hand at the online options that have proved to be safe and reliable. Remember your spending limit, and have fun in the process!